Making Fantastic Short Films - Sponsor a School! 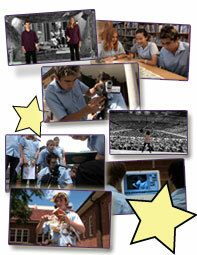 We know schools, teachers and students all LOVE Making Fantastic Short Films. But we also know that many schools have limited budgets and resources. You can help by sponsoring a school -- by ordering one or more copies on their behalf. In some cases, it's even TAX-DEDUCTIBLE! If you order a copy for a school that already has the minimum recommended number of copies, we will send your sponsored copy to a smaller school, or one without sufficient resources to order MFSF, as per your instructions. Or, to find out if the school you'd like to sponsor already has enough copies, simply email us at mfsf@embryo-films.com with the subject "IS THIS SCHOOL SPONSORED?" and let us know the name of the school you'd like to sponsor. We will generally reply within 2 business days. We will include with your copy of MFSF a cover letter indicating that this copy has been sponsored by you or your company. And we will forward the invoice to you separately, which you can present to your accountant to determine whether your sponsorship can be tax deductible for you. And THANKS for making a tangible and life-changing contribution to the next generation!